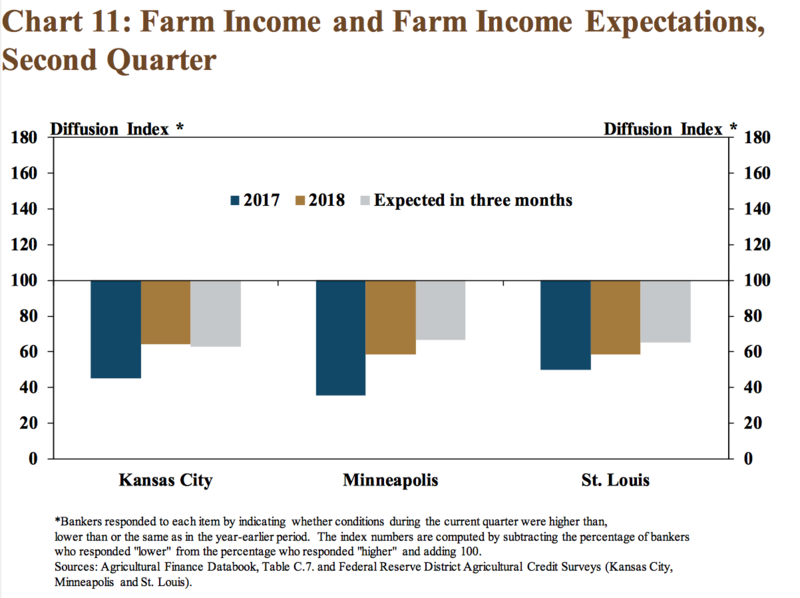 Today’s update looks at the Kansas City Fed update in more detail with a particular focus on agricultural lending variables, farmland values, and farm income. 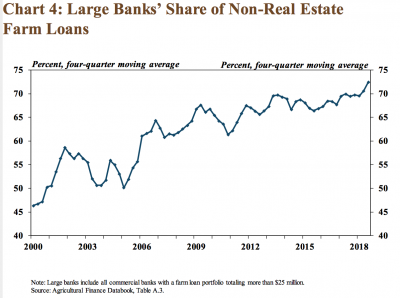 “Large-Scale Financing Drives Ag Lending Activity Higher,” by Nathan Kauffman and Ty Kreitman. The Federal Reserve Bank of Kansas City (October 19, 2018). 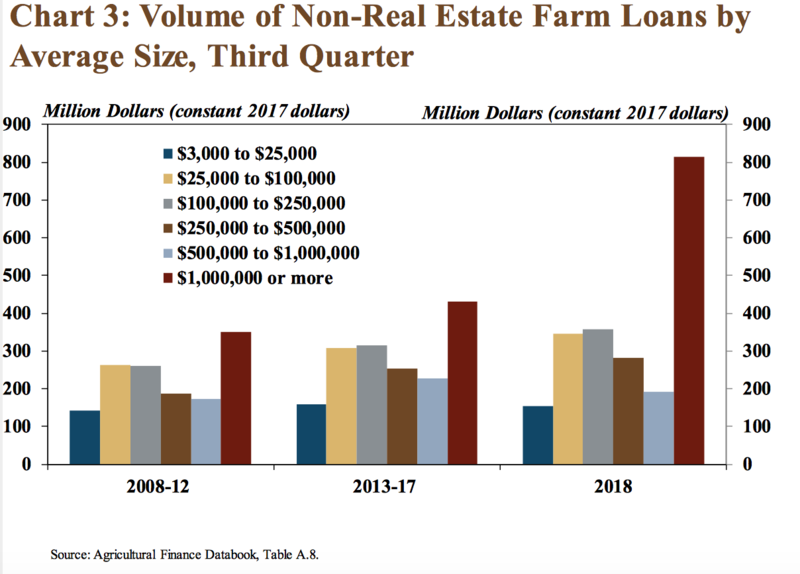 “In the third quarter, the volume of loans larger than $1 million nearly doubled and accounted for almost 40 percent of total non-real estate lending during the reporting period,” the report said. Bolstered by larger individual loans and growing loan portfolios, the share of all non-real estate farm loans held by large banks reached a historical high of nearly 80 percent in the third quarter, compared with 72 percent a year ago. 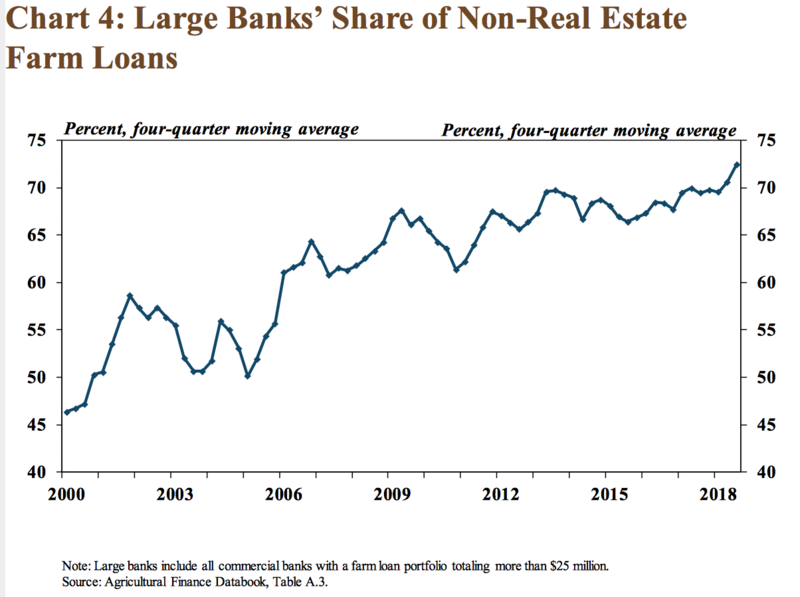 “As farm debt continued to trend higher, the performance of agricultural banks across the country generally has remained solid,” the report said. In a closer look at farmland values, Kauffman and Kreitman stated, “Despite additional increases in interest rates and emerging concerns about profitability in the farm sector, several Districts reported an increase in farmland values. 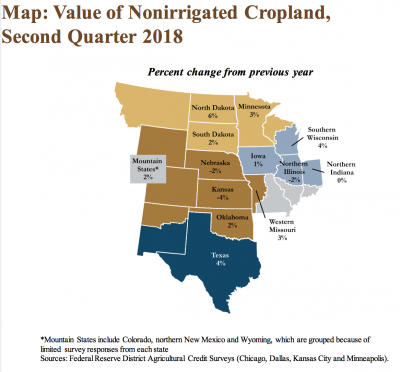 In fact, nonirrigated farmland values increased in the majority of states in the Midwest and Plains regions, with the largest increase of 6 percent in North Dakota. 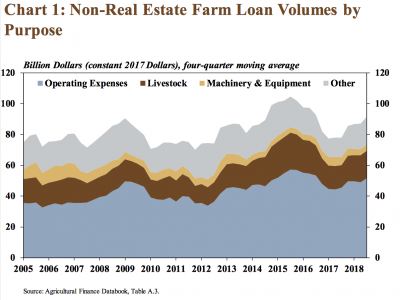 While addressing issues associated with farm income, the Fed update indicated that, “In contrast to modest increases in farmland values, farm income continued to decline in all Districts that report on changes in income. 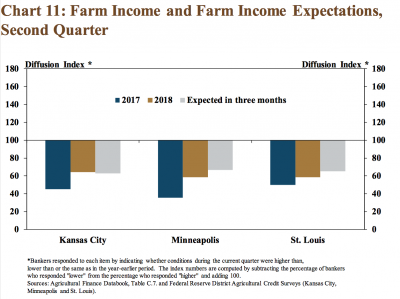 Despite a slight improvement compared with 2017, farm income in the second quarter remained weak and respondents indicated they expect the trend to continue over the next three months. Speaking on Thursday at USDA’s Agricultural Outlook Forum in Arlington, Virginia, USDA Chief Economist Robert C. Johansson provided a broad outlook for U.S. agriculture. Today’s update provides an overview of key aspects of Dr. Johansson’s presentation.